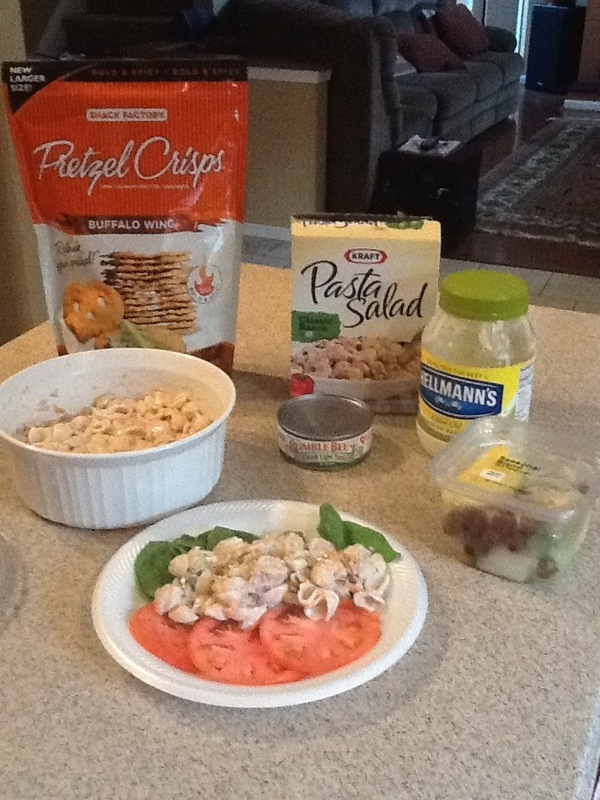 Tonight’s easy breezy meal is Kraft Pasta Salad with tuna. This Is a good summer meal that is quick to prepare giving you more time after dinner to swim, walk or just relax. I used coupons when they were on sale at Food Lion paying less than $1.00 a box. I like adding fresh fruit which is a good compliment to the pasta.